Bishop Kevin Rhoades spoke to the media Friday in response to the Pennsylvania grand jury report regarding sexual abuse in the Roman Catholic Church. The names of those credibly accused of sexual abuse within the Roman Catholic Diocese of Fort Wayne-South Bend will soon be known. Bishop Kevin Rhoades made the promise Friday afternoon, during a press conference called in response to the Pennsylvia grand jury report detailing decades of sexual abuse within the Catholic Church there. 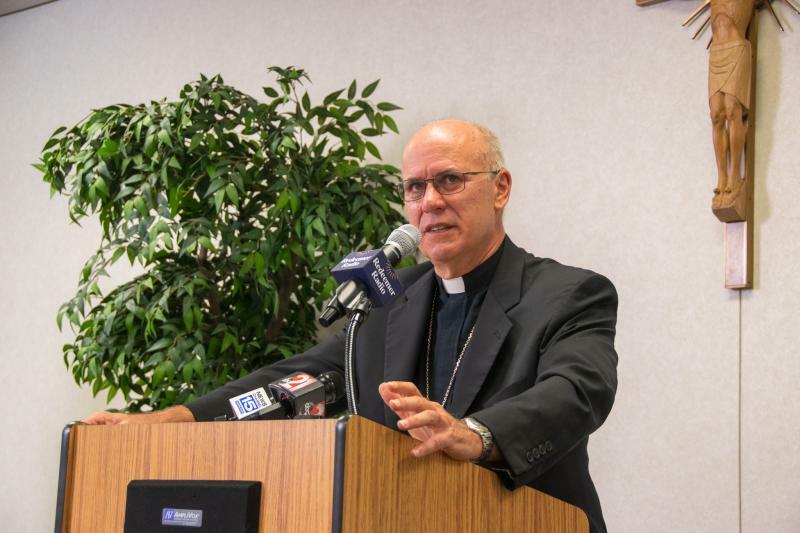 Rhoads, a former bishop in the Diocese of Harrisburg in Pennsylvania, appeared in the grand jury report in reference to two priests accused of abuse in the decades prior to his installation as bishop there. In one instance, he urged the Vatican to defrock one of the priests. In the second, Rhoades supported a decision to leave the priest in ministry but to be removed from all service, and to be prevented from presenting himself as a priest in public. That priest was gravely ill and had had repented, Rhoades said. Rhoades says releasing the names is a practice only one in four diocese within the Catholic Church observe. He estimates the release of the names could take at least two weeks. Rhoades has served as the bishop of the Diocese of Fort Wayne-South Bend since 2010. He replaced Bishop John D'Arcy.